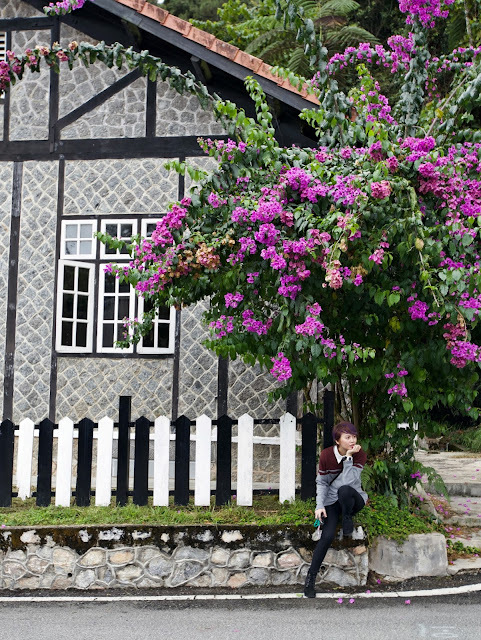 Although four seasons isn't something I get to enjoy at my dearest homeland, but whenever I get to visit higher grounds like Genting Highlands, Cameron Highland or even my recent visit to Fraser Hill, I enjoyed the cold weather very much and kinda imagine it's autumn for me and put on some autumn-like clothing for the sake of Instagrammable photos. And did you notice that there's an unique scent that's floating in the air of these cool places? With pine trees and colder climate, flowers at higher grounds blooms more vibrantly and don't get me started with trees, they look so majestic with fog surrounding them. These places really gives me the autumn vibes with autumn scent. 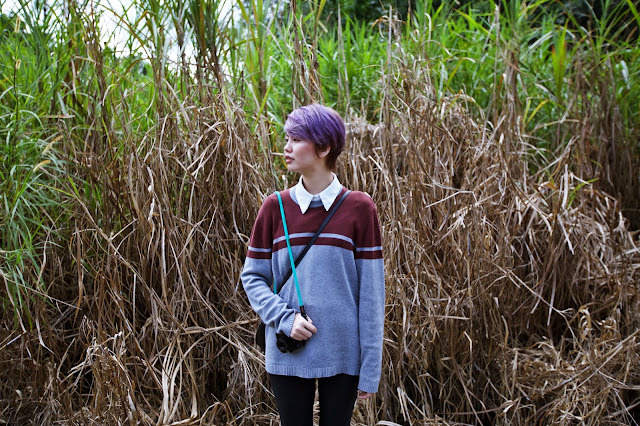 As this year is approaching its end, I find that I've changed my style to a more earthy look as well as the scent I'm used to. 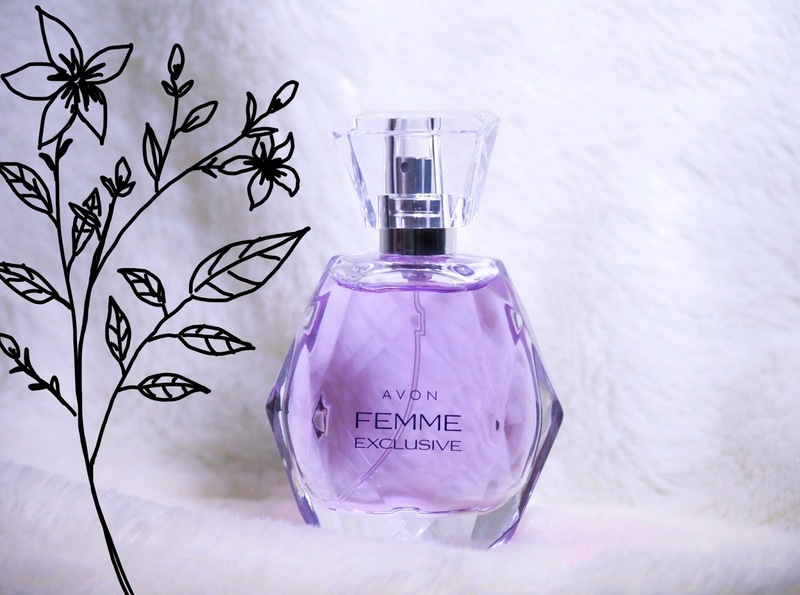 Different from the energetic and fresh feeling of spring and summer, I find that Avon's latest Eau De Perfume - Femme Exclusive speaks to my soul more than my usual perfume. It has a faint scent of jasmine and sparkling pear with a dash of black vanilla in the notes. And to pair with it, there's Avon's latest Eau De Toilette - Homme Exclusive which I can match my perfume scent with Fei without feeling awkward. A musky, woody bold scent, I would say I find this scent very familiar, perhaps it's quite similar to something that my dad used to put on himself when I was a little girl, nothing is more powerful and memorable than the sense of smell and memory that comes with it, thanks to my olfactory memory this scent gives me a warmth feeling of father figure as well. For guys who aren't into strong scent, Eau De Toilette is your best choice as scent of EDT only lasts around 2-4 hours and only contains 7-15% concentration of fragrance oils, the fresh citrusy scent gradually change into a woody notes with a hint of spice in it. Giving off the energetic but full of confidence and reliable vibes, Homme Exclusive's woody aromatic note is definitely my choice of boyfriend perfume this autumn. Glamorous looking in a diamond cut shaped bottle, my first sniff upon Femme Exclusive has left me a strong impression on this Eau de Perfum. With sparkling pear, oriental floral jasmine infusion and black vanilla essence, these combination brings out the feminine side of me every single time I apply this Eau de Parfum on me. Like aforementioned, scent as the strongest tie of memory, a man will never remember how your dress looks like or what handbag you're carrying, but he will remember your scent and a woman's perfume tells more about her than anything else. There are so many female figures that can't live without their perfume, and I find it I'm gradually falling in love with this "smell good feel great" daily ritual too. Spray the perfume in the air and go under it and pretend it's raining perfume is what I like to do most before my outing and it gives me a good vibes to start my day with. I guess the answer is: make them fall in love and addicted with your scent first. Every season has their own scent. Converting them into perfume is a very unique and innovative idea. It must be challenge to make a perfect formula for such perfume.